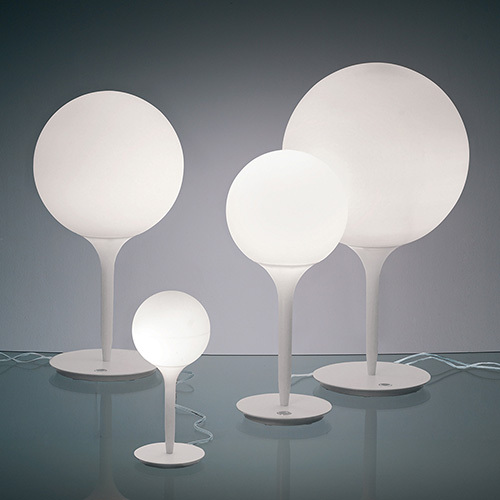 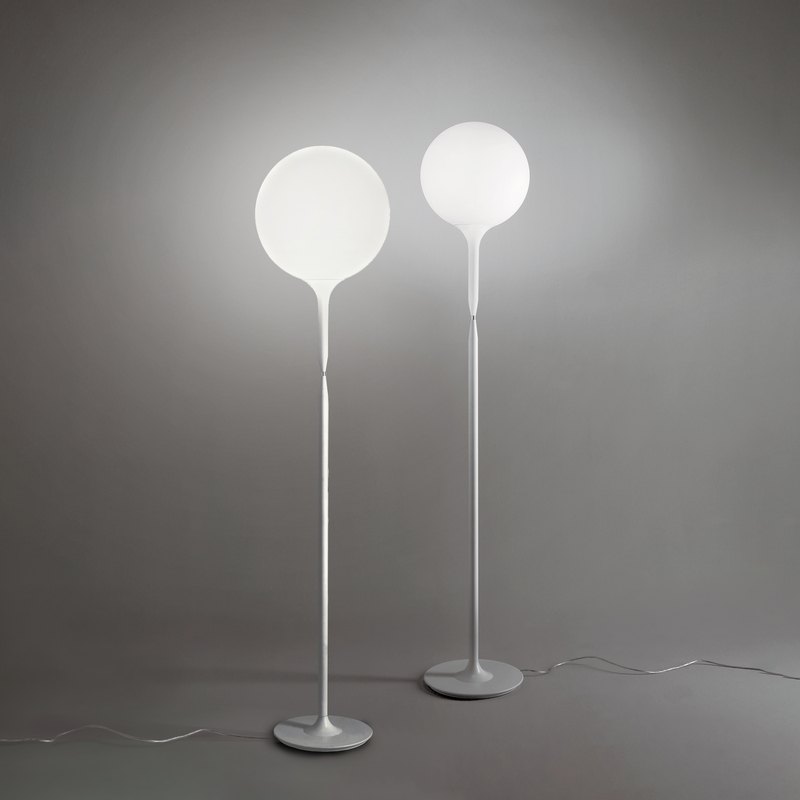 Available in table, floor and suspension with 2 different globe sizes: 35 & 42. 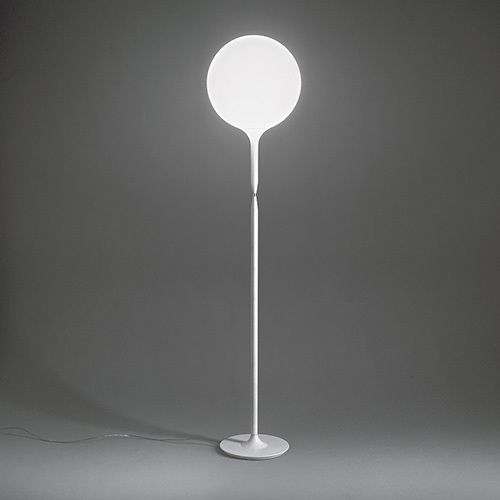 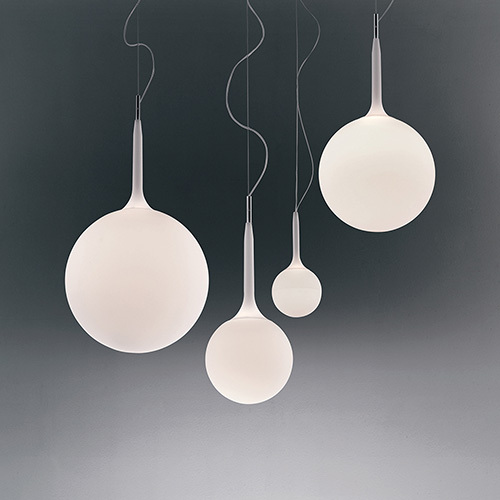 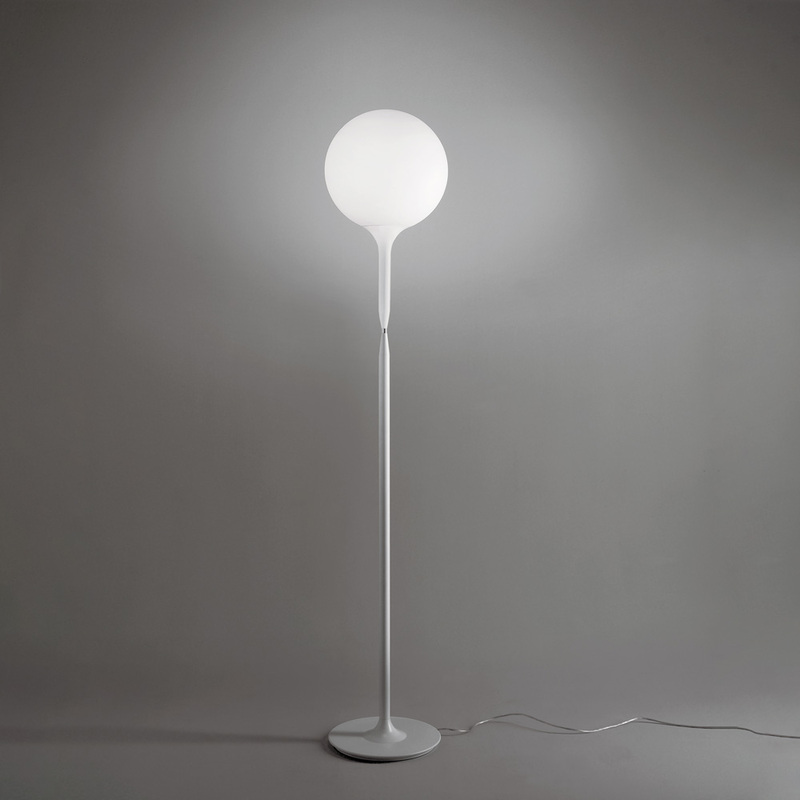 -Stem upper section in steel tubing covered by a tapered sleeve in white translucent molded polycarbonate, allowing for partial soft diffusion of light from diffuser. 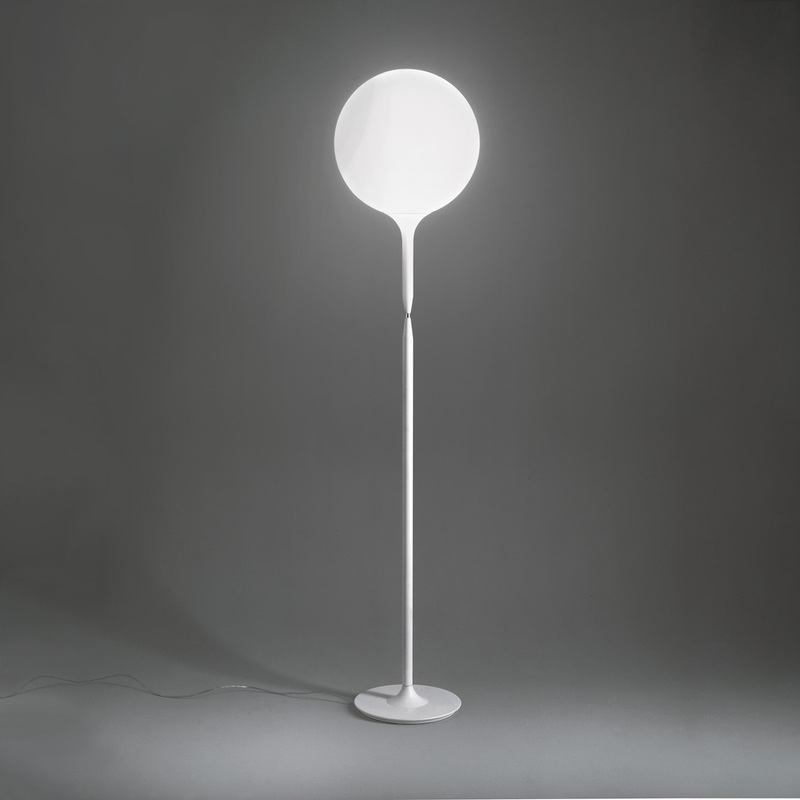 -Stem lower section in steel tubing with matte white powder coated finish.